Canadian researchers have identified a genetic marker that can be detected through a blood test that determines which patients with metastatic colorectal cancer will benefit from receiving the epidermal growth factor receptor (EGFR) inhibitor cetuximab. 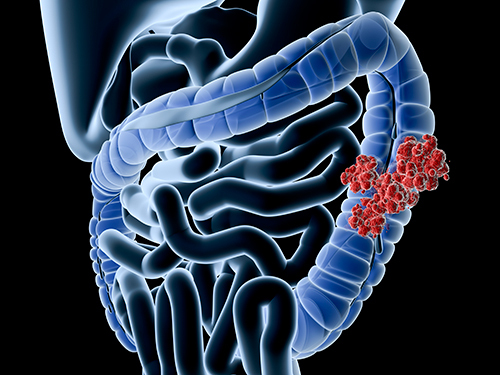 This new study sheds light on the growing mystery of why cetuximab is ineffective for up to 50% of colorectal cancer patients. This new study builds on some initial research done using the chimeric monoclonal antibody therapeutic to treat colorectal cancer patients almost ten years ago. However, it wasn’t until more recently when researchers began to discover that some patients seemed completely unaffected by the therapy that many research groups set out to find the underlying molecular mechanisms regulating this resistant behavior. Dr. Liu, a medical oncologist who specializes in lung cancer, describes the pathway to his team’s discovery as an ideal example of what can happen when you monitor the drug to wherever the research may lead. “When we followed the drug, first in lung cancer and then in other cancers, it led us to colorectal cancer where the drug was also being used, and directly onto this new finding,” Dr. Liu concluded.